The radio piece hit me for a couple of reasons. First, it addressed the issue of why the Parkland Kids seem to be effecting change where others have not. The key was that the kids had been talking about school shootings and looking at ways to help and mobilize even before that fateful Valentine’s Day a year earlier. They’d already been of an activist mindset. Second, they quickly teamed up with another group—who get far less credit and quite frankly may live in far more danger—a group of activist kids from Chicago. By working together they increased their voice and power. In one of the interviews a student said something like, “we’re sick of thoughts and prayers.” It wasn’t said in disrespect or anger. His point was thoughts and prayers make the thinker or prayer feel better without actually accomplishing anything. In another interview, a student pointed out something equally s important: that in the past lawmakers were going on about their usual business without ever bothering to consult the people most effected by school shootings--the students. The Parkland Survivors acknowledged that while they don’t have all the answers, they do have two powerful things in their favor. They have an experience that few lawmakers have faced. They also have inexperience, which allows them to approach things in new and different ways instead of following protocol or trying to operate within the confines of a box which doesn’t provide the tools for solving the school shooting issue. As I finished listening, it dawned on me. I have the platform to let South Bend students tell their community what they think. What if I let them take over an episode of Politically Speaking? What if I let them interview, write, shoot, edit, and produce an episode on what it means to be a student in an era of active shooter drills and social media disinformation? What would they have to say? How would they see the issues? Would they have any ideas or solutions? As luck would have it, I found an excellent group of students who were willing to do just that. 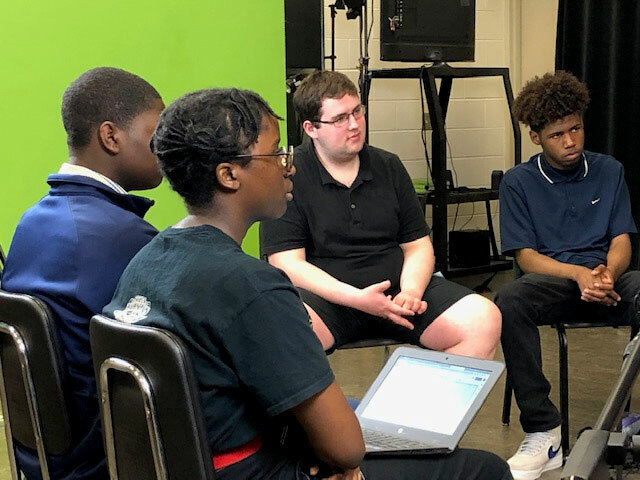 Tim Richardson’s junior and senior radio and tv classes—a combined group of Riley and Adams High School students have stepped up to the challenge. 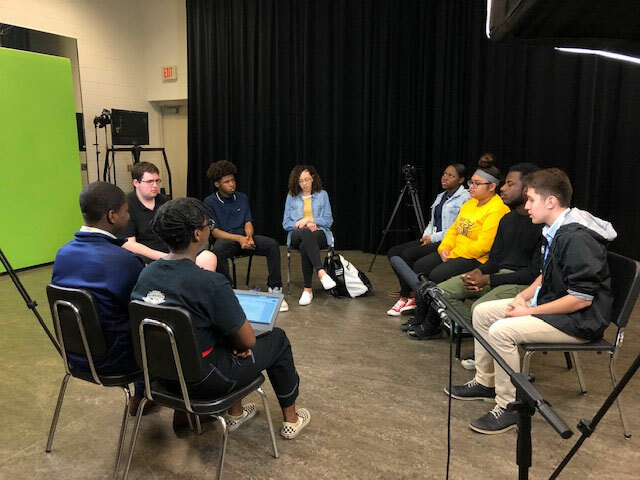 They’ve come up with some unique angles and offered new insights into school safety, from a student lead focus group on school safety, to a piece comparing and contrasting school safety for a student originally from the Sudan with life in South Bend, to access to a new school safety app set to become law. They’ve also interviewed politicians and authorities as well as their own parents to give us a comprehensive view of the high school reality they live every day. They’ve really done a great job—not only stepping up to the plate but beyond it. It’s been inspirational, a little sobering, definitely heart-warming, and at times a little silly working with them. Their episode is a great one. I hope you’ll tune in to watch Friday April 19th at 7pm, Easter Sunday at 2pm, and again on Monday the 22nd at 5pm. After that, you’ll also be able to catch it right here on the Politically Speaking landing page entitled Student Take Over. Give yourself a treat and watch.